Recreating scenes captured on camera in 1973 by an elderly American couple recording their trip from Beirut to Baalbek, Subject Leader for MA Photography and MA Fashion Photography at UCA Rochester, Chris Coekin, pieced together and recreated the original journey to investigate changes to the region. 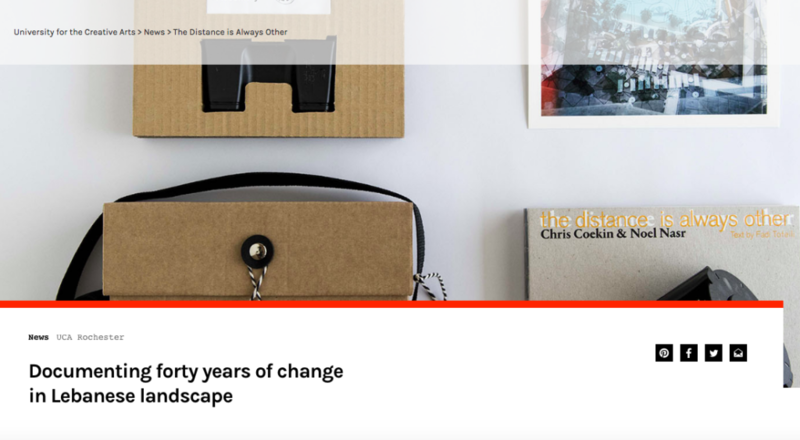 Collaborating with Lebanese artist Noel Nasr, and Graphic Designer Reza Abedini, the project’s findings have just been published in the book The Distance is Always Other, and uncover changes in the region’s urban, domestic and social landscape. “Documenting and examining the changes in the Lebanese landscape, from when it was on the brink of civil war in the original images in the seventies, to the way it looks today was a fascinating project,” Chris said.